Kano (Nigeria) (AFP) - Boko Haram Islamists have set fire to homes in Nigeria's northeast town of Bama that are under their control, forcing residents to flee as troops advance to recapture it, witnesses said Sunday. The Islamists on Saturday told residents of Bama, 70 kilometres (37.5 miles) southeast of Maiduguri, to evacuate before setting fire to many homes as Nigerian troops inched closer in a bid to retake the town, residents told AFP. The blaze forced hundreds of residents to flee towards Maiduguri, capital of Borno state, the group's hometown and stronghold. "They came into the town around 12:00 pm (1100 GMT) warning that anyone who wanted to leave should leave the town and soon after they began torching homes," resident ‎Umar Kaka said. "Not all residents could leave because some are too sick or old to leave and we are afraid they were burnt in the homes‎," Kaka said. 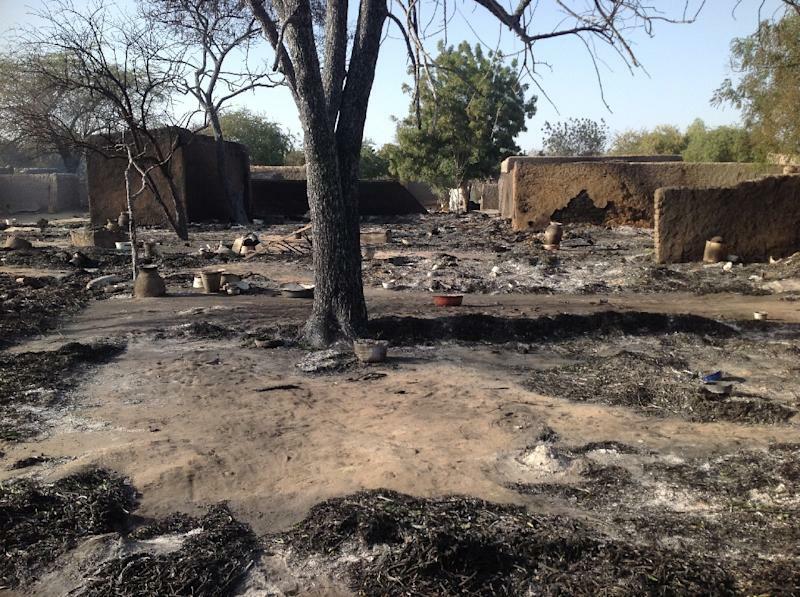 The arson followed the sacking of the Islamists from nearby Boboshe and Yale villages by troops as they marched towards Bama‎, said Kaka who arrived in Maiduguri on foot on Sunday. "We learnt soldiers were coming. They advanced on Bama on two fronts and met some resistance at Boboshe and Yale but succeeded in crushing the Boko Haram gunmen," said Bama resident Ibrahim‎ Kyari. "They asked residents to leave which came to us as a surprise because they kept us captives all these seven months and would not allow us to leave," Kyari said. Bama, a strategic and historic town in the state, has been under the control of Boko Haram since early September. "I left large groups of people including women and children on the way trekking towards Maiduguri while soldiers moved towards Bama," said Kyari, who rode to Maiduguri on his bicycle‎. Boko Haram seized Bama, the state's second main city, during the rapid capture of several towns and villages in northeastern Borno, Adamawa and Yobe states on the border with Chad, Cameroon and Niger. The Islamists carried out mass killings in the town, forcing hundreds of residents to flee while others remained trapped there. Nigerian soldiers aided by‎ troops from Chad, Niger and Cameroon have in recent weeks reclaimed most of the areas under Boko Haram control. In Borno state, Bama and Gwoza towns were the only remaining towns still under Boko Haram control. Nigeria vowed to reclaim all of its territory occupied by Boko Haram before the general elections which commence on March 28.